Taking Flight! | Luxury Safari Experts | African Safari Co.
It’s a great privilege for us to work and live in the bush with all the big and small miracles surrounding by on a daily basis. As someone who has worked in the African bush for over eight years, I often find myself taking our beautiful surroundings for granted. That is until I come across something so wonderful, it invigorates that appreciation once more. 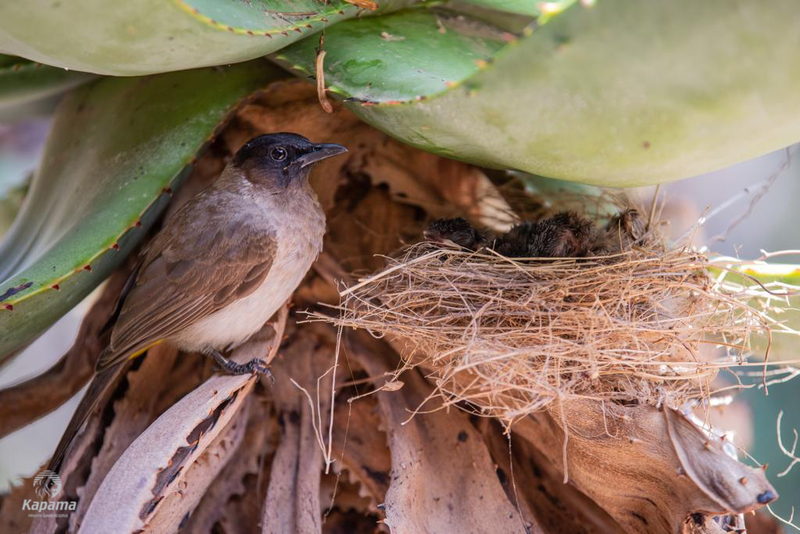 Just the other day, as I was walking about Kapama River Lodge, I was lucky enough to discover a small and amazingly crafted nest that had been built by a Dark-capped Bulbul. It was not long after discovering this wonderful nest hat we noticed there were three small eggs inside. 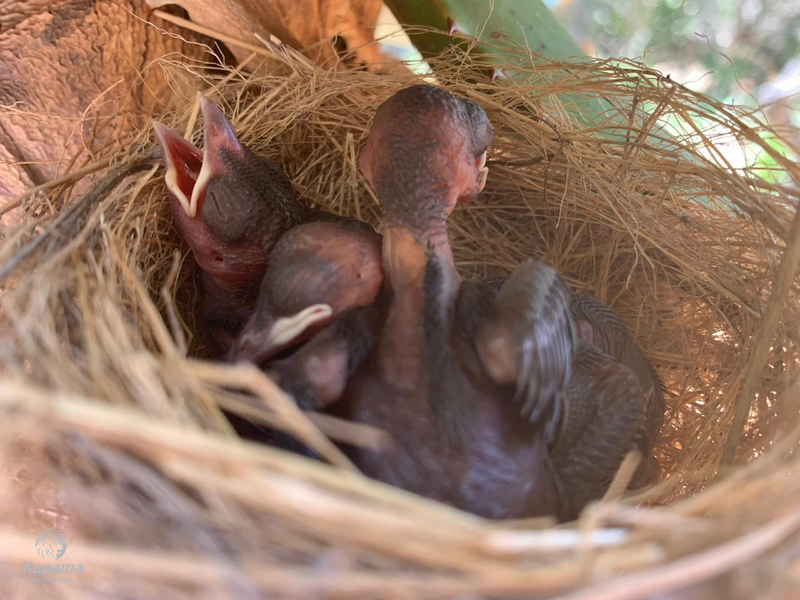 This Dark-Capped Bulbul was getting ready to experience motherhood and her perfectly weaved nest would be home for her little ones for two weeks at least. We left it alone and let nature take its course. 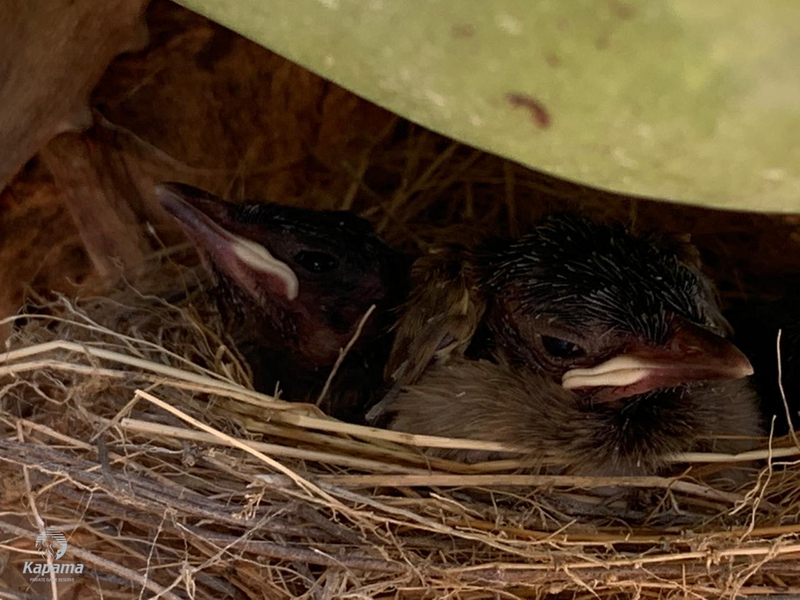 Soon enough we could hear the chirping of the new hatchlings. It was wonderful to not only see them first hand, but also to follow the growth of the little ones as they became stronger and stronger. 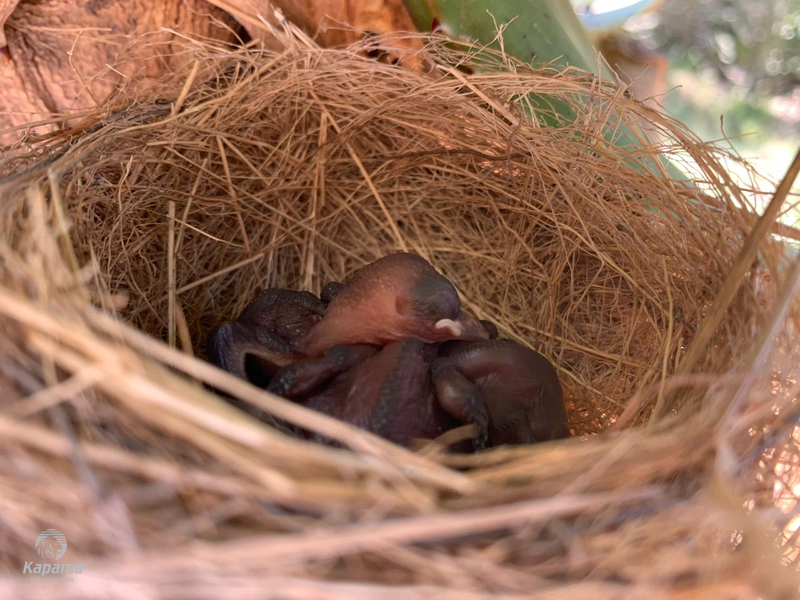 The Dark-Capped Bulbul nests are cup-shaped and made out of roots, grass and twigs. They are generally placed among dense leaved in bushes or trees. Dark-Capped Bulbuls can be described as greyish brown above and whitish brown below with a distinctive dark head and point crest on top of the head. The Dark-Capped Bulbul is monogamous and will lay an average of three eggs. The female will incubate her eggs for about two weeks while the male brings back food and defends the nest. Once hatched it takes the chicks about two weeks to leave the nest although they usually stick close by to nesting tree for a while longer. They feed mainly on fruit, berries and seeds, but will also eat nectar, flower petals and small invertebrates like termites. Dark-capped bulbuls are mostly seen in pairs, singly or in small groups. It’s not often that we get to see something like this at such close range and we were lucky enough to experience this scene of nature right before our eyes with their mom close by. 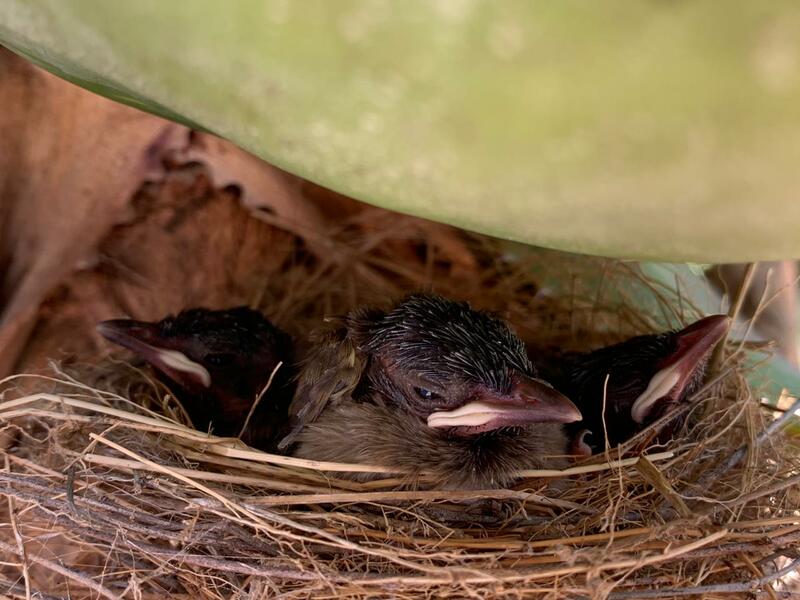 With over 350 different species of birds available on Kapama, you do not need to be an avid birder to appreciate and admire the beauty and wonder of the different birds that can be spotted on across this 15,000 Private Game Reserve. From the iconic sound of the African Fish Eagle, to the colourful Lilac Breasted Roller, to the small Dark-Capped Bulbul bird, Kapama has it all. What bird is on your bucket list?